and its usually the case that the person asking the question has already been out and spent a good chunk of their cash on a detector. This leads to a large percentage of newcomers giving up the hobby before they have even started and quite often down in the wallet when they find out how difficult it can be to get a permission. So i have knocked together a basic guide to get you started down the path to metal detecting permission success! A beginners guide to getting metal detecting permissions. The thought of trying to gain a metal detecting permission is quite daunting even for the seasoned veteran with thousands of acres under their belt. There is just something about the thought of knocking on a farmers door that literally sends shivers down the spine of a detectorist, maybe it is the fear of the unknown or quite possibly its the thought of cold, hard rejection. Whatever the reason, breaking down that mental sense of fear is the first step of conquering the art of permission hunting. What you need to remember is that farmers are just normal people too and the worse that will happen is they will say no so you can get that thought of being chased off the land with a double barrel shotgun out your head! There are generally three options when it comes to trying to acquire a metal detecting permission and I will list them below in the order of the most effective starting with the worst way. Phone call: There is not much to explain here, it is as simple as it sounds. You look in the telephone book (does anyone even use these any more?!) or go on Google and search for farms in your local area. You will usually then see the address and phone number of the farmer that owns the farm and land. This technique is generally used a lot and is not the best approach as the farmer has no idea who he or she is speaking to. I mean come on would you let someone you have never met dig holes in your garden based on a phone call? That being said some people have had success using this method, but it still is not the best way. Send a letter: Again pretty self explanatory, write a letter to the farmer and ask for permission to metal detect on their land. This way I have found to be better that the cold call with the phone. It allows you to go into detail about who you are and your reasons for metal detecting, you can go in depth as much as you want and you know you wont be bugging the farmer when he could be busy like you would be with a phone call. I find this method works a hell of a lot better than the phone call and for added effect include a stamped addressed envelope with you're letter so the farmer does not have to fork out for a stamp, although doing so this makes this method quite expensive. 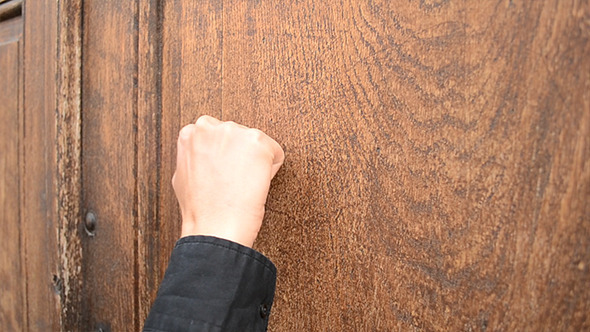 Door knocking: Arghh nooo, the most dreaded and feared way to gain a permission, the physical act of banging your hand against the farmers door and speaking to them! This is by far the best way to go about your business, really think about it and you will realise why. By door knocking you are letting the farmer actually see you, people need this to make judgement about things, by letting them see and speak to you they will be able to judge if they think you are trustworthy. You will also be able to convey your passion for the hobby and for history and let them know on a personal level how much you would love to be able to metal detect on their land. Now we have been through the three methods I will give you a few tips for success. When going door knocking remember that you want to give a good image of yourself. Think of it like a job interview, without the suit.... Dress smart/casual and avoid going in you camouflage detecting kit as this will look a little bit presumptuous. Always remember to be polite and smile, as bad as it sounds most people make judgement about someone in the first few seconds of meeting. If they say no say thanks anyway and ask if you could leave your number in case they change their mind at any point. Buy the relevant insurance and show them this as it lets them know you are covered should anything go wrong. Show them how passionate you are about history and tell them about how you would be recording the finds on the PAS database and reporting any treasure finds through the correct channels. Whichever approach you decide to take i wish you the best of luck and please try to remember that the worst that will happen is they so no, its no biggy and there are plenty more farms to try. Some strike it lucky on their first attempt and others take multiple attempts but you will get there in the end and secure your first metal detecting permission. Thanks for reading my beginners guide to getting metal detecting permissions if you found this guide to be of any help please press the +1 button and share it on whichever social media platform you use, i would really appreciate it. Here is a video made by my friend Addictedtobleeps aka Kris which i am sure he wont mind me linking to. It is a good video which goes in depth about trying to gain metal detecting permissions. "When going door knocking remember that you want to give a good image of yourself. Think of it like a job interview, without the suit.... Dress smart/casual and avoid going in you camouflage detecting kit as this will look a little bit presumptuous." Really, in my estimation, the most important part of obtaining permission.